Hamas daily prints special edition honoring 22 years since wave of suicide bombings in 1996, calls for resumption of bombing attacks. Mustafa al-Sawwaf, a columnist for the Hamas Al-Risalah daily, called for the renewal of suicide bombings against Israelis. The article was printed as part of a special edition marking the 22nd anniversary of a series of suicide bombings in 1996. In his article, which was translated by the Middle East Media Research Institute (MEMRI), al-Sawwaf asked, "Are we about to see actions similar to those carried out by the imprisoned commander Hassan Salameh?" "Will we witness suicide attacks that will redeem the reputation of the quality attacks that shook the Zionist entity and can cause the leaders of the occupation – who call for the field execution of Palestinians – to think again? "The Zionist occupation is criminal, and criminals should be met with firm action, namely with suicide attacks against anything that is Zionist... Is this a civilian society, or a society in which everyone is armed? "The Palestinians should not be condemned for their actions even if they do violate international law, which is discriminatory and equates the victim with the murderer. When international law is just, and when those who follow it are fair-minded people, only then will Palestinians be bound by it…"
MEMRI researchers also noted that the special edition honoring the 1996 terror attacks appeared on the official website of Hamas' Izz ad-Din al-Qassam Brigade - the same ones who led the suicide attacks. 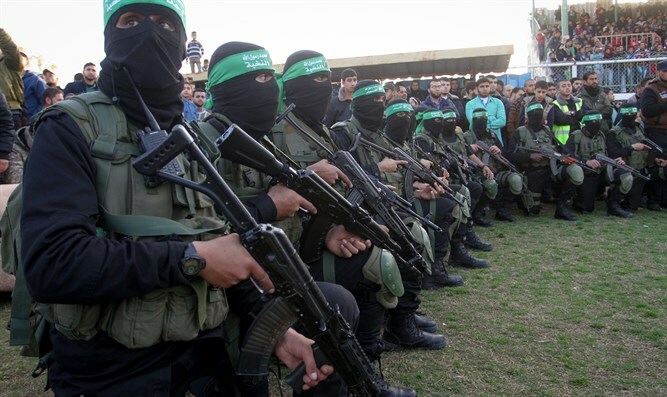 It also included two lengthy articles in which Hassan Salameh, the Al-Qassam commander who masterminded the attacks, details exactly how the attacks were planned and carried out, including how the suicide terrorists were recruited.